Credit cards can be wonderful tools if you use them correctly. If not, it can get you into a world of trouble. I saw one report recently that the average American carries more than $16,000 in credit card debt. Whether you have this much debt or not, there are some important things you need to know about your credit card – that you probably don’t know. This might come as scary news to you as it did to me. You got a credit card at a great interest rate but the banks that actually issue thr cards are not bound by state laws that limit interest rates. They can actually make the rates whatever they want. If you read your card’s terms and conditions, you’ll probably see that the interest rate is safe for just the first year. But once you have that card for longer than that, the credit card company can up your rate even if you’ve been a great customer. If your credit card company decides to hike your rate you can basically say “no.” If you do this, the credit card issuer is likely to make a deal with you and let you stay at your old interest rate. However, it’s important to get that in writing. What’s likely is that the credit card company will lower your credit line, boost your minimum monthly payment or simply close your card. But it can’t do demand that you pay off the entire bill in some short amount of time. In the event that you choose to not accept the new rate and the company closes your card, you should have five years or more to pay off what you owe and at the old rate. 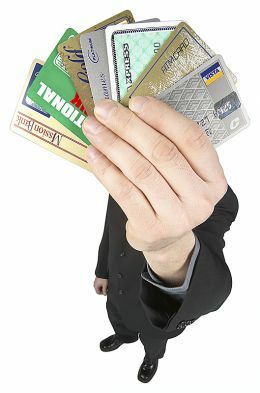 Most if not all credit cards come with some nice protections. Suppose you purchase something online but you never get it. Or what you ordered when you were in the store isn’t what you received. Or maybe you find an item on your bill that you didn’t authorize. Don’t worry, your credit card protects you against these problems. For example, if a person makes purchases you didn’t authorize on your stolen or lost credit card your maximum liability is just $50. You can also seek a refund if you are unsatisfied with the purchase. However, it must have cost at least $50 and it must’ve been made inside of 100 miles of where you live. In addition, you must have first tried to fix the matter with the company that sold you the product. Your card might have a fixed rate right now but that doesn’t mean it will always be fixed. Your card issuer can not only change your interest rate but can change the way it calculates it. This means that your fixed rate card could become a variable-rate card sometime in the future. However, if your interest rate increases due to the change, the card issuer must give you 45 days’ notice. Some credit cards may say they have no spending limit. However, they may limit the amount of money you can carry forward from one month to the next. Here’s an example of how this could go bad. Let’s suppose you charge $7500 on one of those no-limit credit cards. But you’re only allowed to carry $5000 over from month to month. This would leave you on the hook for $2500. You need to carefully read the terms and conditions of any credit card so that you will know if the amount you can carry forward to the next month is limited or not.